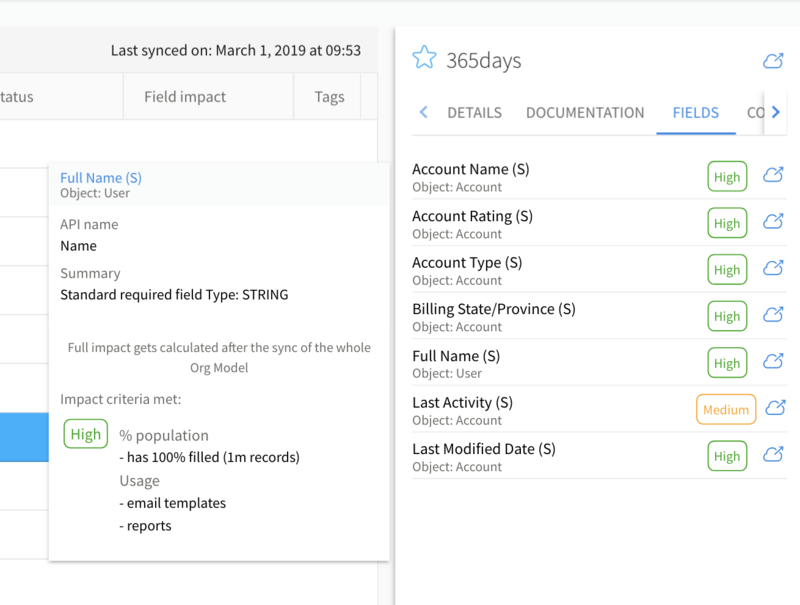 When you have connected Elements space with your Salesforce org, you can check which fields are used by various Salesforce items. This is the other end of our field usage functionality. The list of used fields comes with information on their parent objects & rollover will key metadata and impact assessment.